Concordia’s Board of Governors has approved a tuition hike for the John Molson School of Business’s (JMSB) Goodman Institute of Investment Management. The Goodman Institute offers a diploma, master’s and MBA in investment management. The increase, which will not apply to current students, will mark the first time since the Institute’s creation in 2001 that domestic and international students will pay different fees. The programs’s fees have been $18,000 a year for all students since 2012. 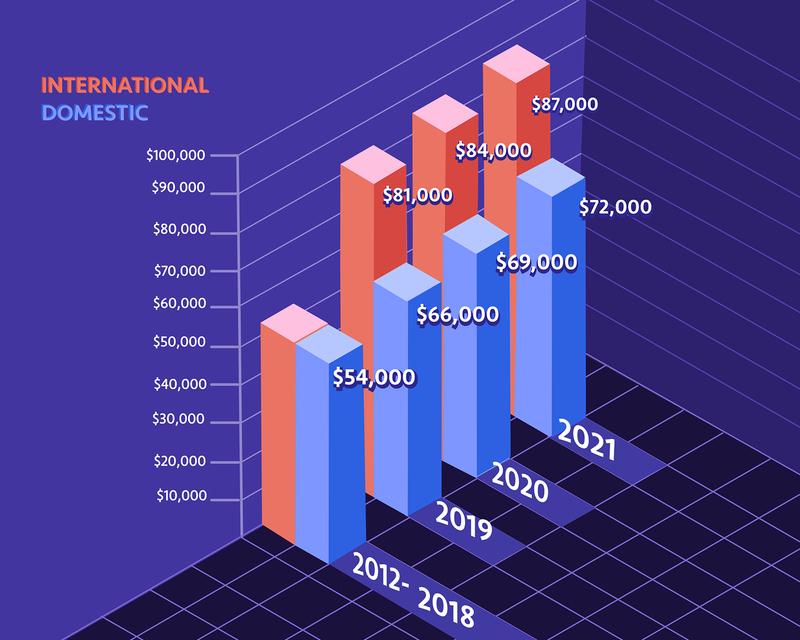 In fall 2019, annual tuition will increase by $4,000, totalling $22,000 for domestic students, and by $9,000, totalling $27,000, for international students. Annual tuition for all students will then rise by $1,000 in both 2020 and 2021. This means a three-year master’s degree will cost $72,000 for domestic students and $87,000 for international students starting in fall 2021. The changes were approved by the board in a meeting on March 13. In a PowerPoint presentation dated Feb. 25, which was included in the documentation for the meeting, JMSB Dean Anne-Marie Croteau cited increases in costs for technology and space, international enrolment, and “students’ needs related to professional and career development support” as reasons for the hike. Croteau said she does not expect the increased tuition to affect international enrolment. The day after the meeting, the Concordia Student Union issued a statement condemning the vote. “With the government’s move to deregulate almost all international programs, yesterday’s decision is an alarming preview of Concordia’s willingness to cash in and seize opportunities to profit from our education,” the union wrote in a Facebook post. In May 2018, the Quebec government announced that it would deregulate tuition for all international students starting in the 2019-20 academic year. This will allow universities to set their own tuition rates for these students. However, tuition for international students in JMSB and the Goodman Institute was already unregulated at the time of the announcement.